Pizza Punks, which already has eateries in Glasgow and Belfast, has opened its doors on Newcastle’s Grey Street, promising ‘proper pizzas’ and something unique for diners. We headed along during its opening week to sample its pizzas first-hand and see how it compares to other pizza joints in the city. Let’s talk decor. This isn’t a rustic, Italian-inspired dining destination. And it doesn’t pretend to be. 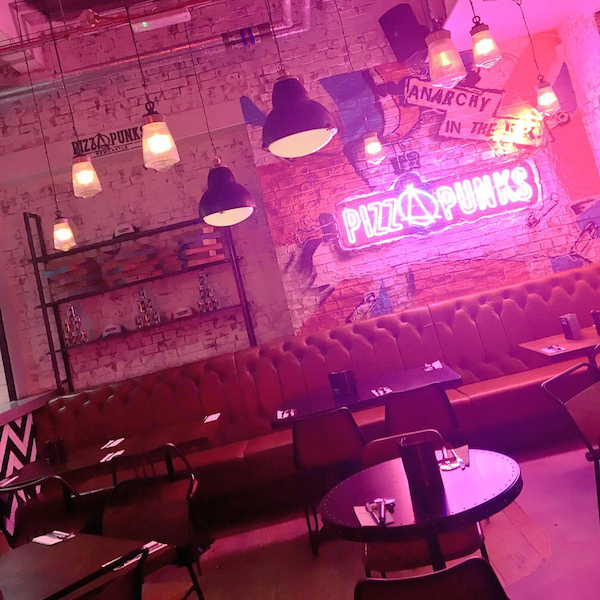 Instead, Pizza Punks is going for a much edgier and almost Americanised feel. Neon lighting and graffiti adorn the scuffed walls, meanwhile an open kitchen lets diners in on the pizza making action. Combine this buzzy, industrial setting with an indie rock playlist in the background and you’ve got yourself one chilled out, hip eatery. 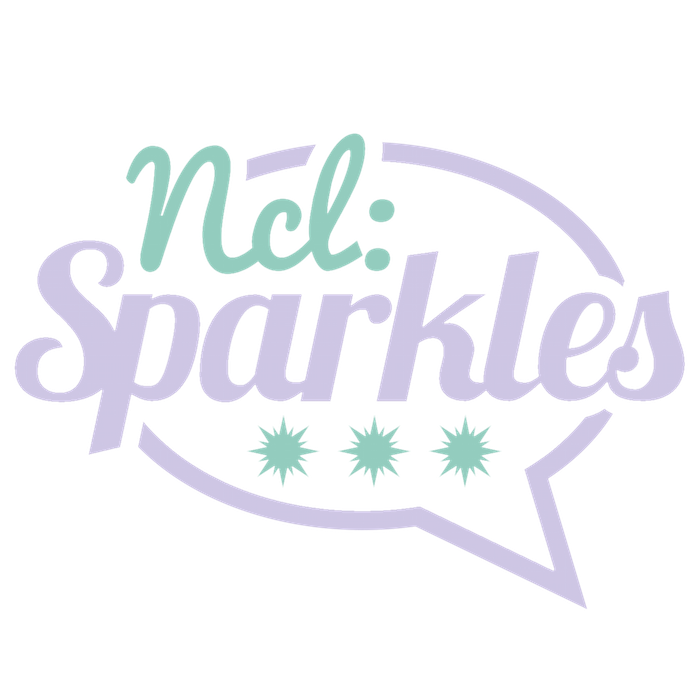 What’s great about Pizza Punks is that for £10 you can create the pizza of your dreams, without having to compromise on your favourite ingredients. Choose from a sourdough or gluten-free base, topped with red, white or BBQ sauce and then pick your cheese – mozzarella, scamorza, goats, vegan or parmesan. Diners are then invited to ‘punk up’ their pizza with as many toppings as they like – everything from candied bacon, fajita chicken, and chipotle and chocolate pulled pork to traditional mushroom, olives and caramelised red onion. 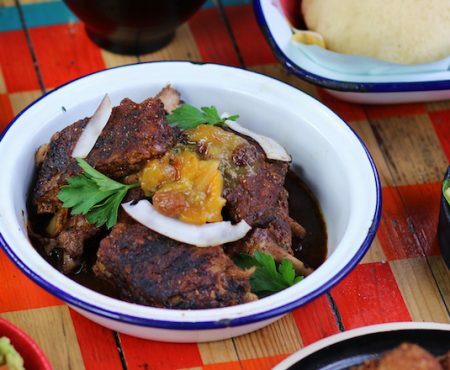 The ‘rogue’ selection dishes up a few surprises though, including Irn-bru pulled pork and Newcastle Brown Ale brisket. Too much choice? That’s ok, as the menu features a few set pizzas too, including the Full English (we’ll let you guess the toppings for this one…) and the Messy Mexican. For my punked up wood fired pizza, I kept it simple with red peppers, jalapeños, ham and sweetcorn. The bubbling pizza was a scrummy delight when it arrived – not too doughy but just enough crisp for my liking. 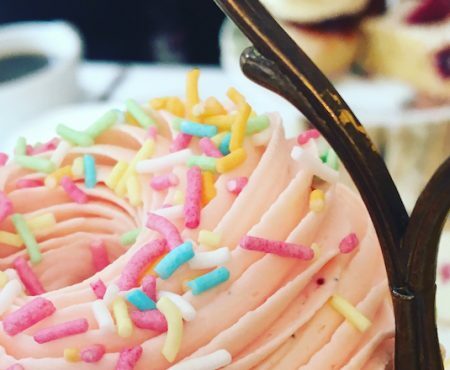 And the toppings were very generous – you definitely get your tenner’s worth. 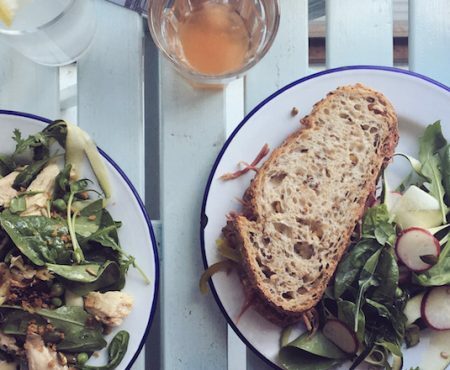 If pizza doesn’t quite cut it for you on its own – check out the side dishes. Look out for buffalo chicken wings, mac ‘n’ cheese and rosemary and sea salt garlic bread, among others. Now onto one of my favourite things – cocktails! The drinks list was better than what I was expecting and on par with cocktails I’d order from any decent bar in town. 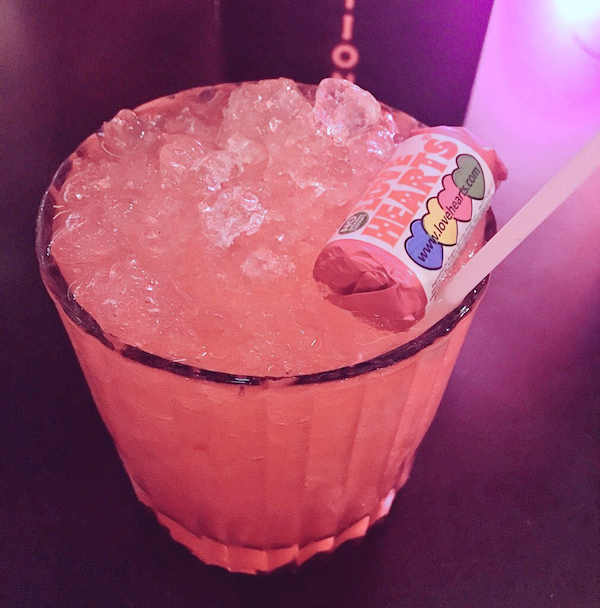 The Loveheart Caipiroska, made with Loveheart infused Finlandia Vodka, Limoncello and raspberries, was like a sweetie jar crammed in a glass. 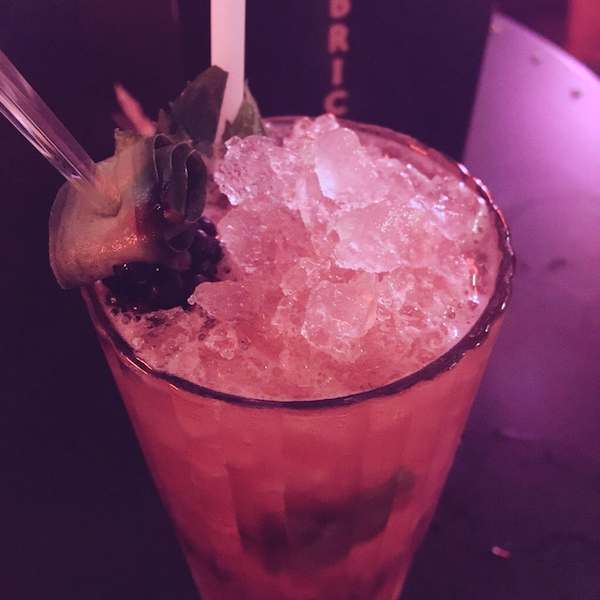 You’ll also find bellinis, mojitos and – drink of the moment – gin on the menu, so there’s plenty on offer, whatever your vice. There’s also a selection of craft beers, featuring several varieties from Morpeth-based Anarchy Brewing Co. It’s always nice to see a nod to local producers on a menu. 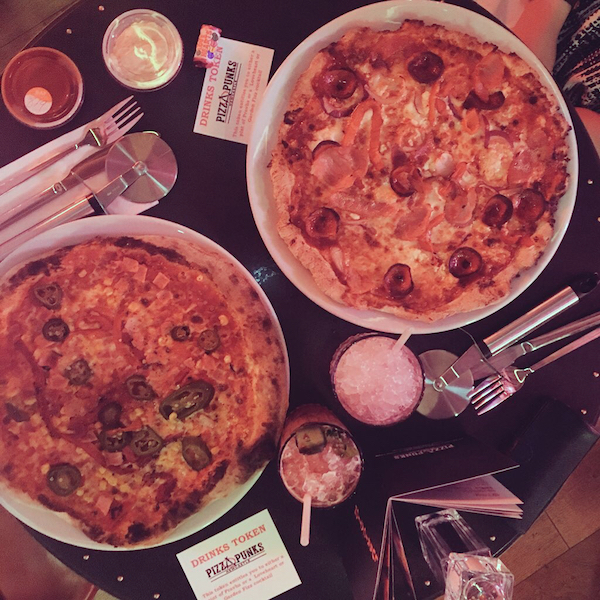 Overall, I enjoyed my first visit to Pizza Punks and think the concept has mass appeal – who wouldn’t want to craft their perfect pizza for just £10? The ambience is a real draw too – and its bright, lively vibe really does set it apart from other pizza eateries in the city, making it the kind of place you’d want to hang out with your mates while indulging in yummy food and great cocktails to match.